With bright corners that change colors. 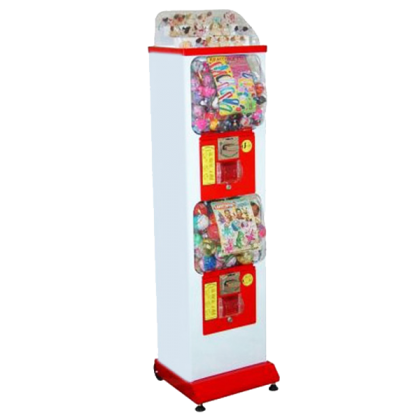 The vending machines can work with 1€ and 2€ (electronic mechanism) also accepts 0.50€. This machine has 4 wheels for easy movement. If you want you can put a padlock on the door of the crate. NOW THERE REMAINS ONLY YOU PLAY ! 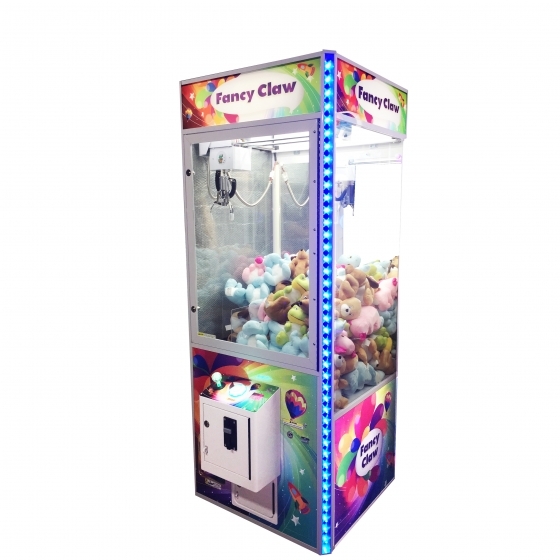 A claw crane consists of many parts, but the basic components are a printed circuit board (PCB), power supply, currency detector, credit/timer display, joystick, wiring harness, bridge assembly, and claw. 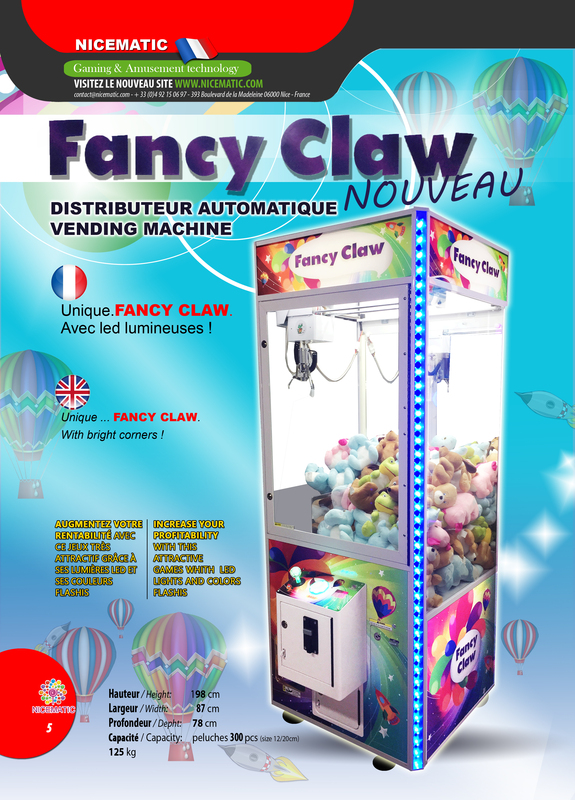 The claw has two or more fingers, although most claws have three. 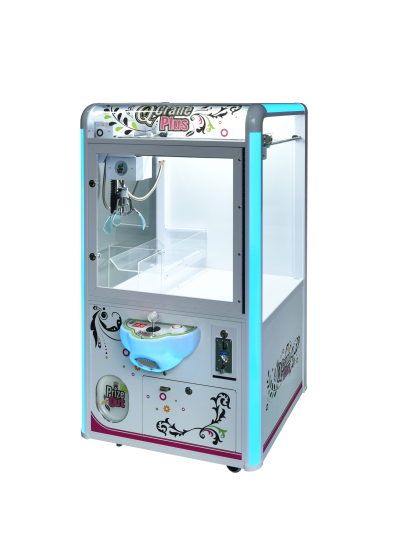 The cabinet is usually constructed of medium-density fiberboard. Some cabinets are made of aluminum alloy, which makes it easier to relocate as well as cheaper to produce. Registration number : 408 427 078 00014 R.C.S. 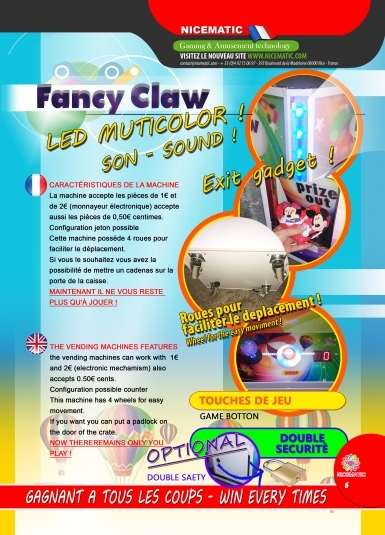 Open every day, 8 am to 6 pm (France GMT+1), saturday and sunday closed. 1996 © NICEMATIC All Rights Reserved.